No scientist could ever tell you that a caterpillar can fly. In fact they need to become butterfly before being able to do that. Well, this caterpillar is different. He decided that he could not wait, so he put his flying goggles on and shoot himself from a cannon in the direction of the apple. The story of Brucovolante is about a character that did not accept his destiny, his nature. But did not get sad about it, instead he found an other way to achieve that ambitious (yet dangerous) goal. 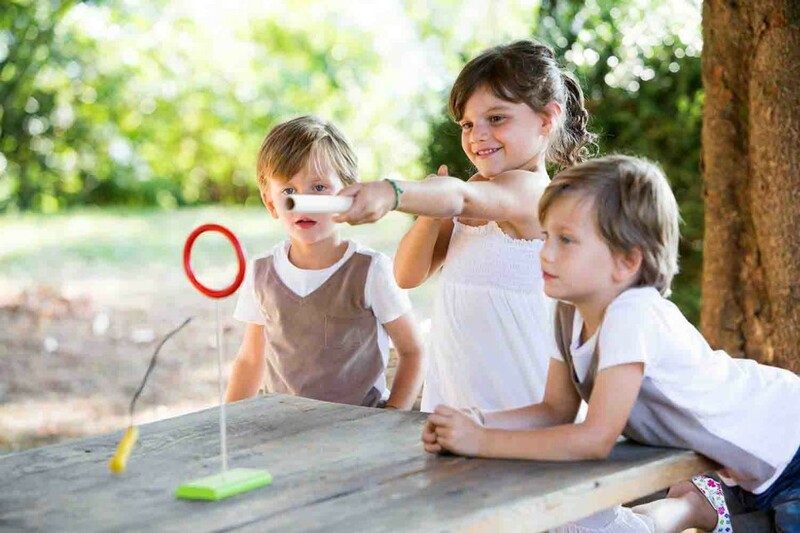 That is why kids must be careful to target the cannon in the direction of the apple represented by the red ring. 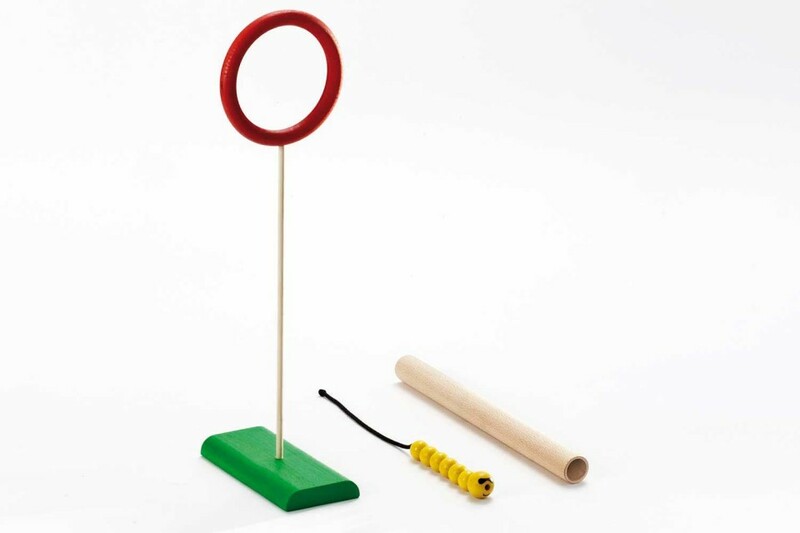 It can be played in a wide range of variants of the game: changing the distance from the ring, the orientation of the cannon or even the orientation of the ring. 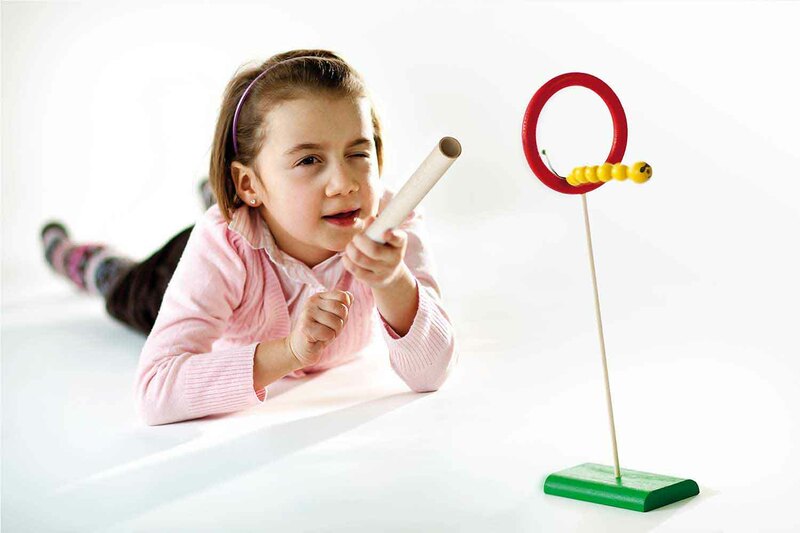 This allows the toy to be played at different stages of dexterity and so having a longer life for the kid. While enjoying the story and the game kids train their targeting ability, balance, self-perception and identification.